Mark brewed his first batch of beer today, in months. I know it was very hard on him to not have his brew buddy around. As funny as it sounds, this was a fun bonding time for the two of them. 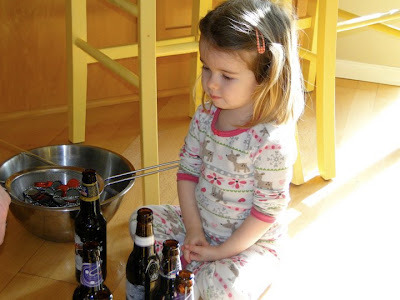 Of course, Vienne knew beer was only a grown up drink and she never once had a taste. But, it was cute and hilarious watching how much she enjoyed helping her Daddy...she got to help stir the brew, pour in the grains, etc. 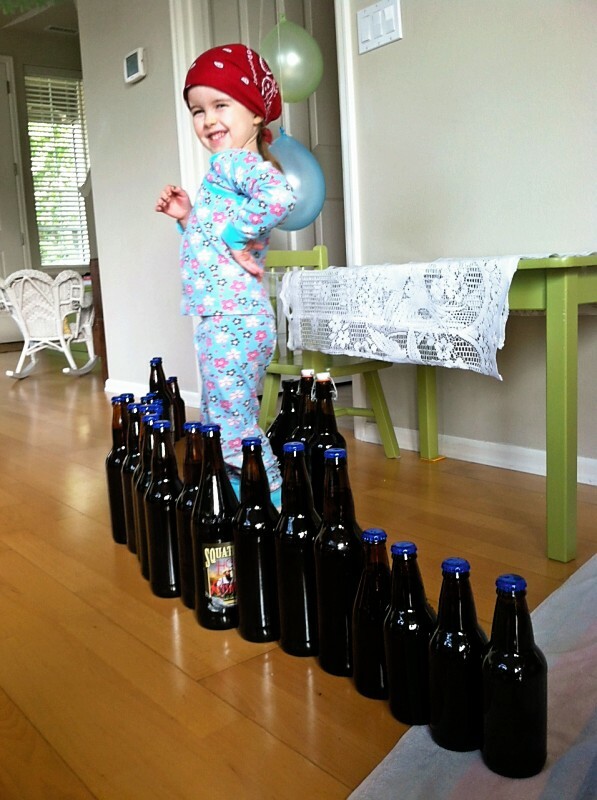 She loved listening for the "burps" as it fermented. And she was a professional bottle capper.